Welcome to Veterans Services at Stanly Community College. Stanly Community College has been approved by the Veterans Affairs NC State Approving Authority to offer degrees, diplomas and certificates to those students eligible to receive VA Educational Benefits. 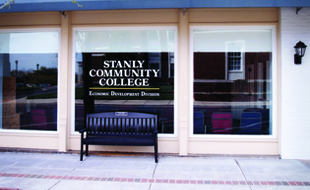 At Stanly Community College we understand that your educational journey may not be traditional. 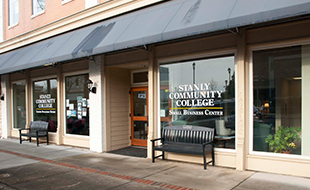 In addition to seated classes, Stanly Community College offers completely online programs to complete an associate’s degree, diploma, or certificate. Whether you choose to take one class, seated classes or complete an entire degree online, SCC has many educational opportunities. 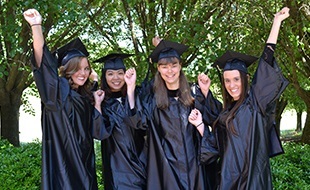 To see our list of our programs, please visit https://www.stanly.edu/future-students/college-catalog/programs-study. Veteran students are encouraged to apply for the FAFSA. The FAFSA is the application for the Pell Grant and could provide additional financial assistance. If eligible, the Pell Grant funds would be in addition to VA benefits. Questions regarding the Military Service Educational benefits should be directed to the School Certifying Officials who are located in the Financial Aid Office.